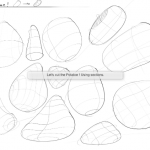 TIP 135 Why you should start drawing with "UGLY DOODLES" ? Wether you are beginner or senior, this situation is actually pretty common. That’s not your fault, and it can be solved. 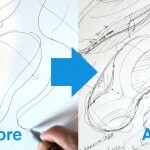 1 UGLY DOODLES >> 2 SIDE VIEW >> 3 WONDERFUL PERSPECTIVE! 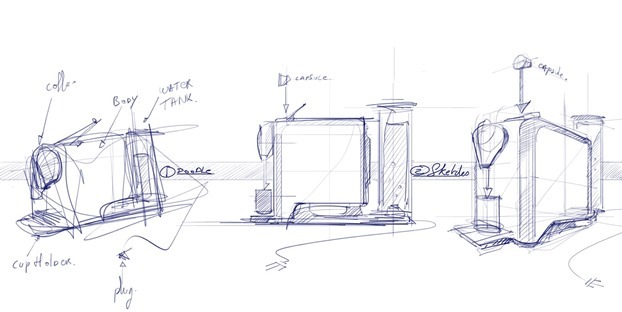 Coffee machine: From ugly to neat sketch. 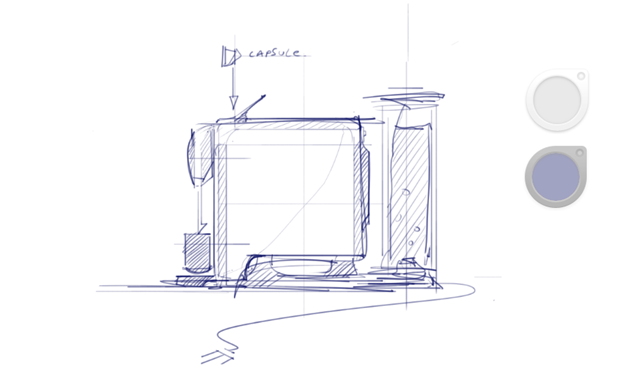 Coffee machine: To illustrate that process, I was wondering what to sketch. I remembered the Nespresso coffee machine I have in my kitchen. So I draw it from memory for today demonstration. Wether you are a beginner or senior it’s often overwhelming to start a project. An essential method that designers use to release the stress, is to split them in 2 distinct steps. 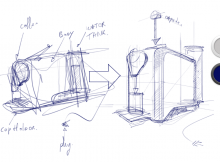 Start your project dropping all the “WHAT” first on paper with fast doodles. Put your ego aside and draw as many “Ugly doodles” as you can. Make a selection of the ideas you like the most and only then you can focus on the “HOW” to present much neater and attractive sketches. Even though this technique give results, many young students may be tempted to skip the 2 first step and go directly to the last one – Some may succeed, but a good number may end with average sketches supporting average ideas. It’s a pity because it’s not about lacking of talent or creativity, but impatience (or sometime laziness). 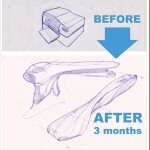 So keep in mind that you don’t sketch for the sake of making beautiful sketches, but to defend beautiful ideas. STEP1 Explore using “Ugly doodles” ! Start drawing “Ugly doodles” to drop as many ideas as you can without caring wether the sketches look good or not – wether the perspecitve is good or not. These sketches are personnal and won’t be shown to anybody except yourself. So relax ! Beautiful sketches are not the purpose here, but creativity. Your best friend here is your imagination. 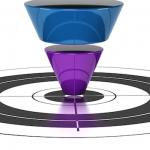 Target quantity instead of quality. By drawing many sketches fast, you let your creativity flow regarding the WHAT – this is how you will produce a lot of ideas in a short time. STEP 2 Get proportion with a side view. Side view proportion: I draw the side view to define the proportion. 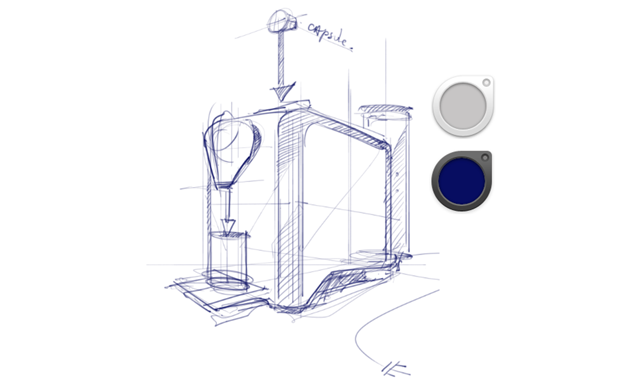 Let’s say we have now selected a proposal from the “Ugly doodles”, and we have decided of its components. At this step, the challenge is proportion. To make your life easier, draw it from the side or front view. You can adjust your dimensions easily and apply as many modification as you want. STEP 3 Communicate in perspective. 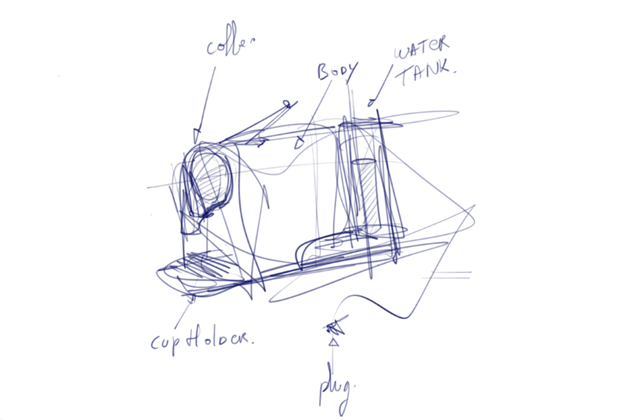 Step 3: I draw with a 3/4 view to better communicate the product. Now the elements are pretty clear in your mind. You have memorized quite well the elements, the functions, the proportions. You have already get “rid of” most of the creative part. It will be SO MUCH MORE easier now to draw it in perspective. Basically, all you have to think about now is technical. “Ugly doodles” are the foundation of greater sketches. I have a question, do you first visualize the item you’re going to draw, or you just lets say, imagine a word, see which image related to that word, and doodle it down? I ask, because imagination drawing is one of those skills that definitely takes time to cultivate. Hey best is to combine both. Most of the time, your ideas will come first from your understanding of the user : you want the product to have great function but also give emotion that FIT his needs. Keeping that in mind, you will create great experience to people. A good way to improve your imagination is being curious. You will see a lot of various things and feed your library of forms, colour combination, functions… It’s one thing to “see” them, but it’s an other to observe them. Be alert, and you will spot a lot of cool things everywhere, everyday. If you see a coffee machine in the shop, ask yourself who are the users and why they design it like that. One day, your imagination will combine few of the cool things and create something new !